We call microneedling a medical biostimulation procedure in which we multipunches the dermis (skin) at great speed. 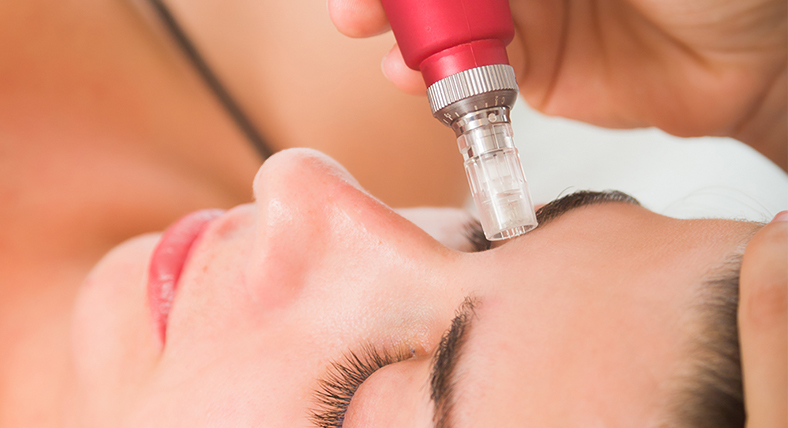 For microneedling, Master Group uses DermaPen, a medical device that performs fractional dermal stimulation at different skin levels, stimulating the production of collagen and opening microchannels in the epidermis to penetrate the active principles. With the high speed of micropunctions the procedure is fast, effective and less painful. Another important advantage of this technique is its action on the scalp and hair. Several studies have demonstrated that microneedling stimulates stem cells and induces the activation of growth factors, which translates into an increase in hair growth rate and strengthening. Increased expression of genes related to hair growth (VEGF, B catenin, Wnt3a and Wnt10b). We consider microneedling a very useful tool in capillary stimulation mainly when combined with other hair treatments, especially Mesotherapy Hair and PRP. Come to us and ask for a capillary evaluation with the team of the Master Group, your satisfaction is our goal.